but more planning as I consider changes and additions to the gardenscape. First up: the five plants I will be adding to my little white Sissinghurst and that I promised to share with you in this post. 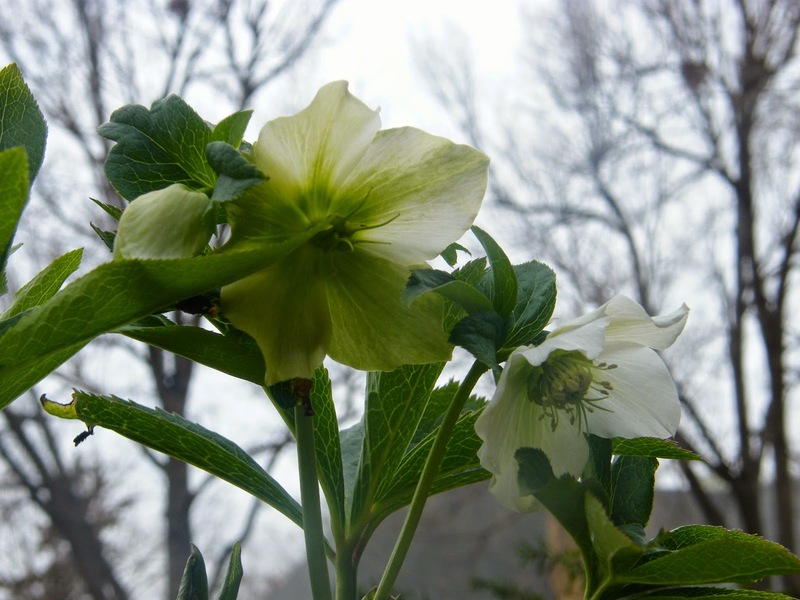 (And all of which would make wonderful white Valentine gifts if you want to pass these plant sources along to your significant other). I have lusted after these white Japanese anemones for ions, and can only attribute my NOT having them to mail order laziness/forgetfulness....or perhaps general garden busy-ness. 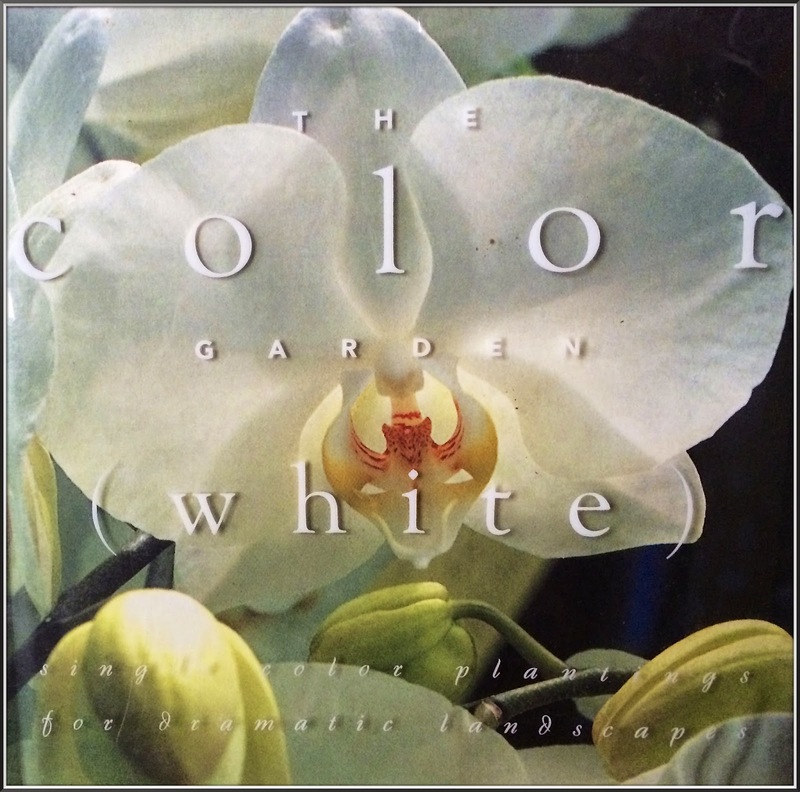 I will remedy this omission this spring by ordering it from Bluestone Perennials (here). It should be perfect for the area in which I will plant it: full to half sun; normal-clay soil (no problem there)...an early to late fall bloomer, tall stems rendering it great as a cut flower, wet site tolerant (i.e. poorer drainage in my garden)...with pure white 2" blossoms surrounded with frilly yellow stamens with chartreuse centers growing on 3-4' stems erupting above mounds of lush green foliage. Deer resistant, butterfly loving. Why have I waited so long? It wasn't until my friend Bubba suggested them as a component in my white garden that this no-brainer of an idea took root. They will be more than happy colonizing in the leaf strewn shade near the deutzias and hydrangeas, and I will be happy for them to keep their company. 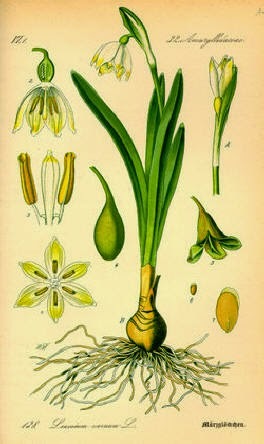 Two readers suggested I plant Leucojum or Spring/Summer Snowflakes, a minor bulb that in drifts makes a major impact in a white garden. Easy to grow, unfussy about soil if given decent drainage, heat and drought tolerant --- what's not to love? Find their dainty white selves here. Apparently they do not like being disturbed once planted, so not ideal for containers. 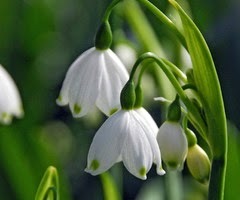 A large, delicate, ground-hugging white whisper of a Snowflake drift. Lovely. I have planted allium for years...all forms and sizes of lavender/purple/pinkish hues. 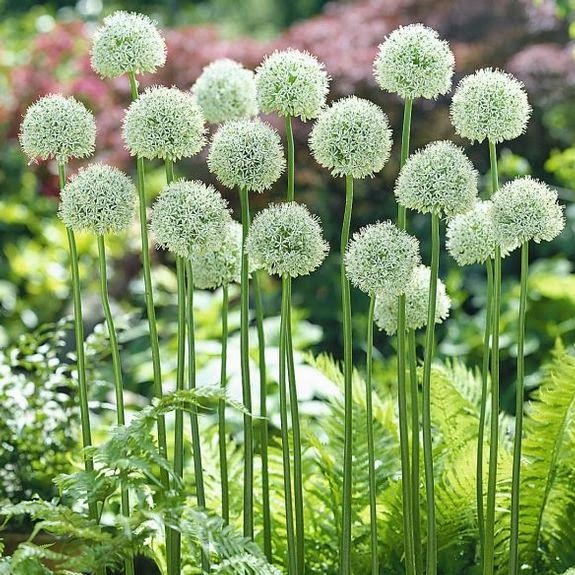 Now, to follow the tulips, I plan on adding MULTIPLE white allium 'Mount Everest' (find then here at COLORBLENDS) this fall. They will be beautiful against and with the 'All That Glitters', 'All That Glows' viburnum foliage (test plants sent from PROVEN WINNERS, find them here) that I happily planted next to the deutzia....a handsome coupling of different foliage textures and contrasting depth of color intensity. Fresh and beautiful vignette don't you think? Last but not least, a frilly white skirt around the base of a boxwood ball in a lattice concrete planter (there in the back center-left). Alyssum, 'Carpet Snow' Dianthus, variegated green and white ivy, or something gray or..........we could go on and on, couldn't we?